On March 22, Hennepin Health was featured in The New York Times for its innovative health care reform efforts! Read the article here. Hennepin County Medical Center has embedded two Hennepin Health-funded community paramedics at Harbor Light Center at 1010 Currie Avenue. The paramedics are there on Sunday, Monday, Tuesday, and Friday from 4:30 p.m. to 1:30 a.m.
Harbor Light Center is Minnesota’s largest adult outreach facility, and the days and times the paramedics work there correspond with the facility’s peak concentration of 911 calls — which increased 21.8 percent between 2010 and 2014. 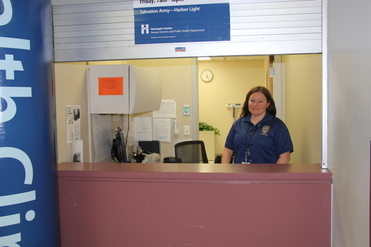 They’re also periods when Harbor Light Center’s Health Care for the Homeless clinic is closed. Through this initiative, Hennepin County Medical Center aims to reduce total cost of care by 10 percent — by avoiding unnecessary ambulance runs and emergency department admissions and by linking residents to primary care. On the first day, the paramedics triaged and cared for 11 residents; only two were in true need of emergency department intervention. In Minnesota, community paramedics can now bill Medical Assistance (Medicaid) for some services. However, this type of staffing is possible only through flexible payment models like Hennepin Health’s. Kristopher Ehlert and Dennis Combs, the two paramedics assigned to this project, have focused on building relationships with residents, security guards, and homeless advocates. Instead of calling 911, “Call or come find us,” they explain. But he’s seen signs that relationships are forming and ambulance calls are being prevented. The day we visited, as Ehlert approached the center a few minutes before 4:30 p.m., a resident who was standing outside greeted him with an enthusiastic, “Hi Kris!” And at 4:30 on the dot, he received a phone call from one of the homeless advocates about a member to check on. The project represents a new way of work for community paramedics. 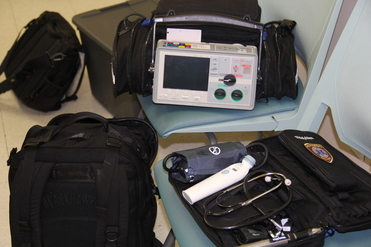 One paramedic typically roves the facility while the other is stationed in the Health Care for the Homeless clinic. Each paramedic carries a cell phone with a number that they’ve given to staff. Ehlert described an asthmatic resident who was recently discharged from the hospital and wheezing. “Normally, someone would have called 911 about him,” said Ehlert. “Instead they called me.“ Ehlert showed the man how to properly use his nebulizer and inhaler. After a few minutes, his wheezing subsided. NorthPoint Health and Wellness Clinic is piloting a project that may help with the state’s shortage of psychiatrists. The Hennepin Health reinvestment initiative funds a part-time psychiatrist who consults with primary care physicians and a psychiatric nurse about patients’ medications. The aim is to make primary care physicians more comfortable with caring for — and prescribing medications to — patients with psychiatric needs. Of Minnesota’s 87 counties, 74 don’t have enough mental health practitioners, according to the U.S. Department of Health and Human Services. 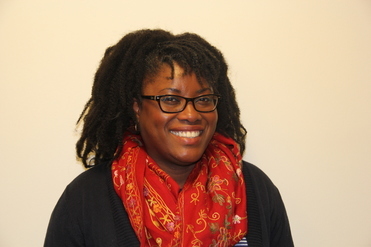 Psychiatric nurse Sophia Williams-Ogu was hired through the initiative. Twice a week Williams-Ogu consults with psychiatrist Israel Sokeye, M.D., about a panel of patients — one hour on the phone and one hour in person. Then she routes Sokeye’s recommendations — such as starting, stopping, decreasing or increasing a patient’s medications — to physicians. Sokeye is also available to talk to physicians for 30 minutes four times a week. Since the project launched, Williams-Ogu and Sokeye have attended to the needs of nine Hennepin Health members. The goal is 75 members over nine months. Williams-Ogu believes the goal is feasible; “We anticipated a ramp-up period,” she said. She’s started to receive referrals from Cerenity Petracek, a Hennepin Health-funded social worker in Hennepin County Medical Center’s Acute Psychiatric Services. Other patients with psychiatric needs have been identified through NorthPoint’s group visits and through Epic, Hennepin Health’s electronic health record. NorthPoint recently hired a community health worker who will locate patients for the project. Psychiatric medication management is not the only need addressed. Williams-Ogu connects patients to food, housing, transportation, chemical dependency services, a health care home and more. “You need to look at the whole person. Everything matters,” she said. Williams-Ogu has been a psychiatric nurse for 16 years. She has worked in inpatient and outpatient settings with children, adults, seniors, and people with learning disabilities. Later this year, Hennepin Health will evaluate the project on a number of metrics, including change in patients’ emergency department utilization, inpatient hospitalization utilization, and self-reported scores on behavioral health questionnaires. Hennepin Health has committed to working with its providers to implement trauma informed care principles at its sites. Each month, the newsletter will feature a trauma informed care domain, including practical implementation tips and work within the system that represents this domain. Trauma informed care is a shift in the way we work with people. Even small steps can lead to big change. It may be helpful to approach the task of screening and assessment with this in mind. When and how do you ask about trauma? What do you do when the person you’re meeting with actually talks about their trauma? Even experienced mental health professionals struggle with asking specific questions and fear triggering or re-traumatizing their clients. Yet, trauma screening and assessment is crucial. 1. 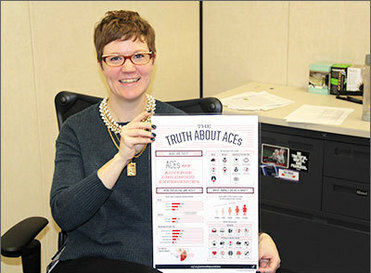 The ACES study tells us that we are missing important health information if we don’t know about the traumatic experiences of the people we work with. 2. If we don’t ask, the people we work with won’t necessarily tell us about their traumatic experiences. Often, the way providers ask the question is more essential than the actual question. Think about how you respond to the question, “How are you?” Your response likely depends on how you’re asked. Was it an off-hand remark or did the asker sit down, make eye contact, and express genuine interest? It’s the same in our practice. When asking about trauma, always present a calm, present, unhurried demeanor. Be genuine and act interested. Many providers are afraid to ask about trauma. They fear they won’t know what to do with the response and don’t want to cause more harm. The thing to remember is this: People who have experienced trauma live with those memories every day. When we ask about these experiences, we validate the immense impact these experiences have on their lives. We send the message that those experiences matter and can impact their health. When trauma is disclosed, the most important response is validation and sincere acknowledgment of their experience, not avoidance. Having a couple of simple phrases in mind such as, “I’m sorry that happened to you,” or “No one should have to go through that,” stated in an unhurried, caring way, can make it easier to ask the questions. After disclosure and validation of trauma, follow up with questions such as, “Do you think these experiences impact your health?” or, “We know there is a link between these types of experiences and a person’s health; have you had a chance to explore this?” These help to focus the conversation, lead to further education about the impact of stress on health, and open up the opportunity to gather more information that will help providers treat the entire person, rather than just physical illness. If a person who discloses trauma asks for help in dealing with their experiences, have trauma-focused therapy referrals ready, just as you might refer to a specialist for other health concerns. Heidi Carlson, clinic supervisor for Hennepin County Healthcare for the Homeless, noticed a patient looking closely at a poster on the wall of the clinic at Harbor Light Center. 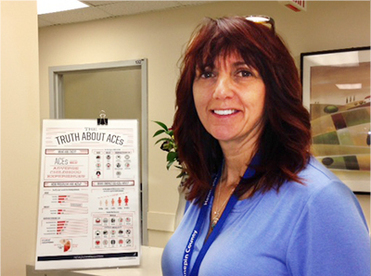 The poster described adverse childhood experiences and their impact on health. Heidi was surprised at how easy it was to talk about trauma and was struck by the depth of conversation spurred by such a small intervention — the poster she got from a trauma informed care training and put on the wall.